This realistic model details 2 lumbar vertebrae with spinal nerves, dura mater of spinal cord. 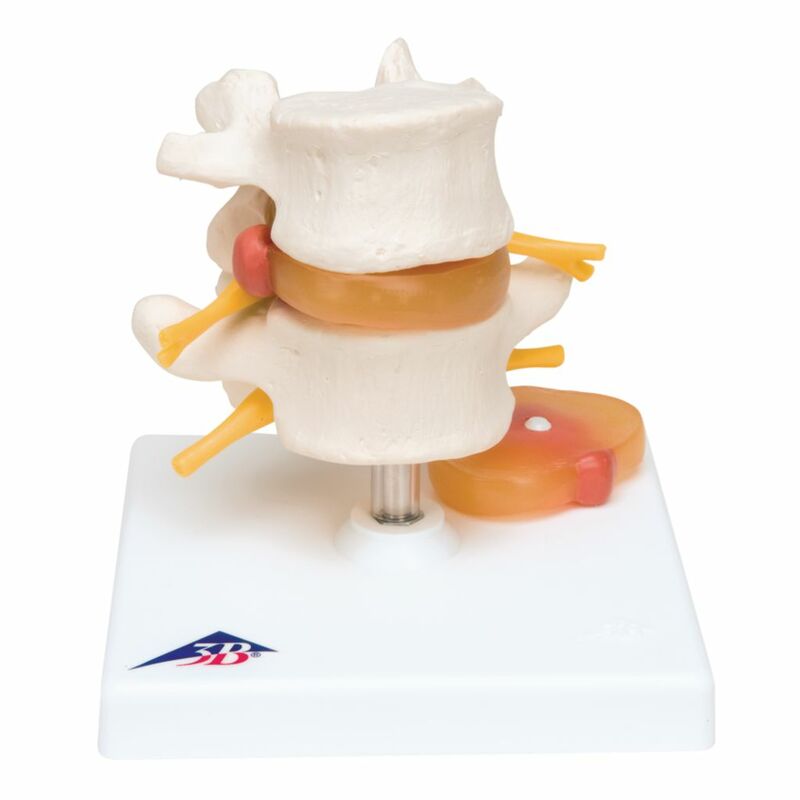 The anatomy model includes 2 replaceable dorso-lateral prolapsed discs between the 4th and 5th lumbar vertebrae. The Lumbar spinal column is delivered on a removable stand.